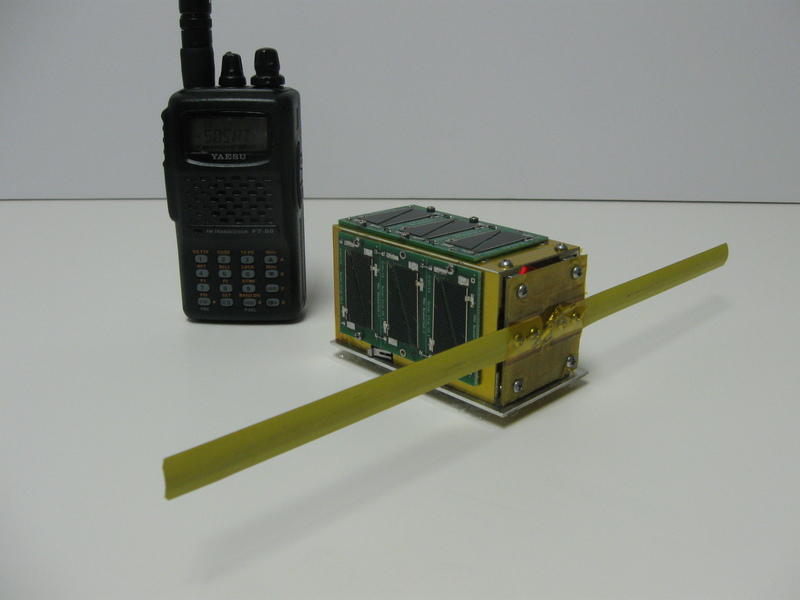 Wednesday, May 21, 2014, marked the six month anniversary of the launch of the tiny $50SAT / MO-76 PocketQube satellite which is just 5x5x7.5 cm and 210 grams. We have finally completed the first pass cleanup of the telemetry data provided by all of you. We cannot thank you enough for this data, as it will help us understand how $50SAT/MO-76 has been operating. Keep it coming! On the Dropbox, you will find a new directory (Telemetry-analysis/Battery-voltage-2014-06-04) containing our first set of processed data, which serves as an initial investigation into the performance of the on-board Li-ion battery. Included in this directory is a spreadsheet with all the battery voltage data we have up to now, in both tabular and graphical form; it consists of 1097 individual telemetry observations. For convenience sake, there is also a copy of the graph in PDF form. Over the past 6 months, the daily average battery voltage has been dropping. A best fit line through all the data has a slope of -0.670 mV per day. The drop, however, has not always been gradual. For instance, there is a large step change of about -60 mV sometime near February 20, 2014. We are not sure what happened here. Anybody out there know what might be going on? Ignoring the two outliers on the graph, the current low battery voltage is 3521 mV. This has been observed at least 5 times, including twice by yours truly. This, of course, occurs when $50SAT/MO-76 happens to be at its lowest temperature, which has been -28 degrees C until yesterday evening, where I observed a temperature of -29 degrees C. While our depth of discharge on the battery is relatively low (our initial calculations were about 22 mA-hr), it is going through about a -28 degree C to 26 degree C (or possibly higher – this is our highest recorded temperature) and back down to -28 degrees C 14.5 times per day. Does this violate the conditions of the warranty? As to whether or not the orbit is decaying, a comparison of the current TLEs with a set from early December 2013 show it is, although by a small amount. The technical challenge we posed to the amateur community to successfully uplink to $50SAT/MO-76 has yet to be met. We have since realized some of the documentation, specifically the Silicon Labs Si4432 data sheet, was not clear on at least one of the needed details. 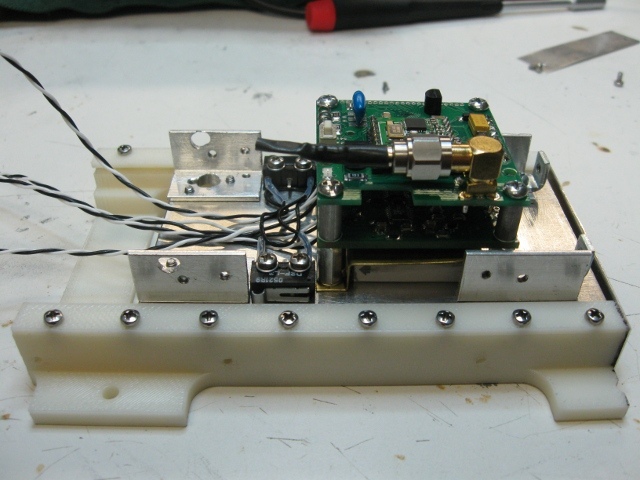 To encourage the amateur radio community to answer our challenge, we will post some information that should be helpful in uplinking to $50SAT/MO-76; look for this sometime in the next few days. $50SAT/MO-76 has made it onto YouTube! See a video of the excellent talk on $50SAT/MO-76 given by Howie DeFelice, AB2S, and a video of yours truly operating the AMSAT demo station during a $50SAT/MO-76 pass at the Dayton Hamvention.